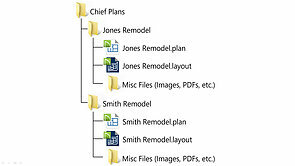 Chief Architect helps educators focus on teaching concepts and less on teaching software. 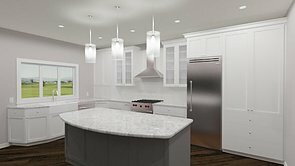 Chief Architect includes a complete curriculum with a digital reference manual and tutorial guide as well as access to interactive training videos making it easy to learn and teach your architectural or interior design classes. "I teach Chief Architect to high school students and have never seen them more excited about any other program." 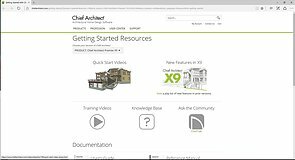 Along with a User Guide and Reference Manual, Chief Architect also provides web-based knowledge base articles and training videos, as well as contextual, searchable help to get you started. 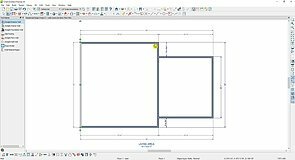 Draw walls and rooms then use dimensions to move the walls into place. 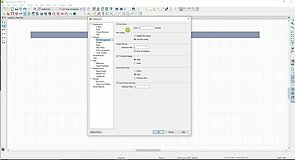 Specify which walls are bearing walls and use the Build Foundation dialog to create a variety of foundations. Create a gable roof by choosing the Gable Wall setting within the Wall Specification and then building the roof. Use the High Shed Gable Wall setting in addition to Full Gable Walls to create a stand alone shed roof or just the Full Gable Wall setting to create a lean-to style shed roof. 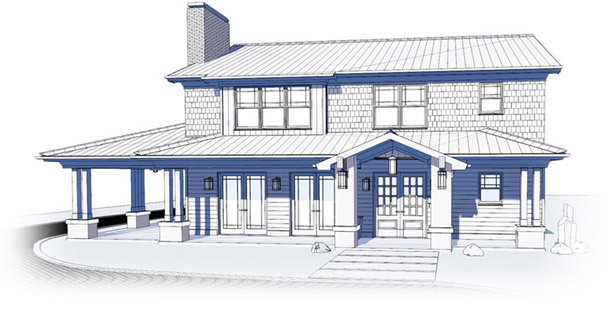 Use the Upper pitch setting in the Wall Specification to set upper and lower pitch options to create a gambrel style roof. 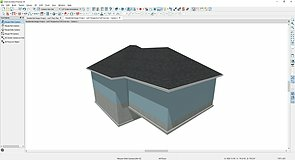 Use the Dutch Gable Roof setting in the wall specification to create this kind of roof automatically. Use the Upper pitch setting in the Wall Specification with the pitches opposite that of a gambrel roof to create a gull wing roof. 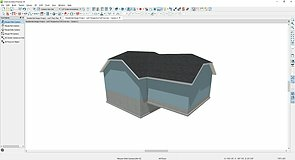 Generate a roof on the top of the second floor as well as over the single level garage. 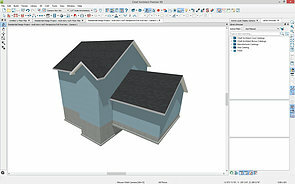 Use the Ignore Top Floor setting in the Build Roof dialog to have the roof sit down on the first story walls. 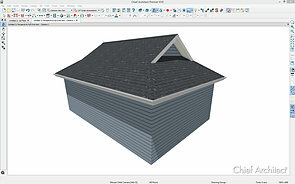 The Auto Dormer tool has different requirements than the Auto Floating Dormer tool. 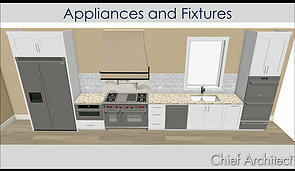 An introduction to placing and modifying cabinets and becoming familiar with the Cabinet Specification dialog. 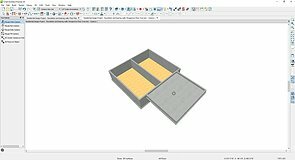 Place items in your plan and customize them, turn them into architectural blocks and add them back to the library. 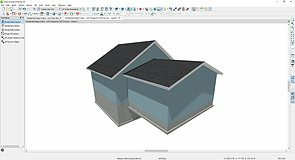 Use the Material panel in the Specification or use the Material Painter to apply textures and colors to the objects in your plan. Use the different stair tools to create stair cases in a variety of shapes. 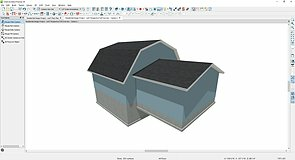 Automatically generate studs, trimmers, headers and other wall framing using the Build Framing dialog. 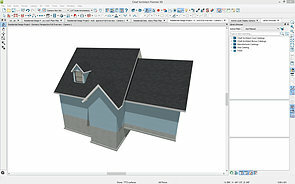 Use the Build Framing dialog or the Build Roof dialog to generate your Roof Framing. When you use the Deck Railing tool your deck framing will generate automatically. 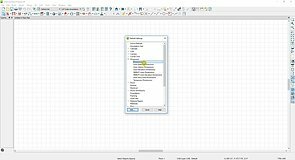 Import the Site plan image and trace over it or use the Input Line tool to input lines according to their quadrant bearing data and lengths. Insert elevation data, terrain features and plants to add interest to your plan. 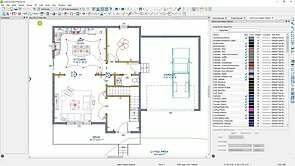 Use the Orthographic View tools to create exterior and interior elevations, cross sections and details. 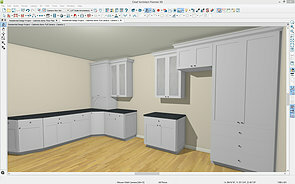 Take views of your 3d model and organize them on a layout sheet to create your construction documents. 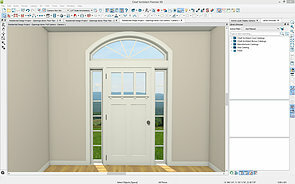 There are 3 main parts to a ray trace, the ray trace settings, the materials and the lighting.